Stoke boss Mark Hughes says he is faced with tough selection choices ahead of Arsenal's visit to the bet365 Stadium on Saturday, live on Sky Sports 1 HD from 5pm. The Potters were pegged back twice in a 2-2 draw with Bournemouth last weekend and Hughes said Mame Biram Diouf, who scored against the Cherries, is in contention, though Peter Crouch and Jonathan Walters remain at his disposal. "I've got a good bunch of players here and every one of them puts in a real shift when they are picked," he said. "Even those who are inevitably left disappointed, they are still engaged in the game and that's how we need it. "I've got a decision to make and our aim is to achieve a positive result in our final home game, so I'll be picking a team that will hopefully go on to win the game for us." Arsenal have won four of their last five league games as they look to achieve another top-four finish. The Gunners, though, have picked up just one win in eight previous Premier League trips to Staffordshire and boss Arsene Wenger is wary of the threat that lies ahead. "Traditionally there is a fierce rivalry and they had always a very direct game against us," the Frenchman warned. "Overall, I must say as well that they have had good teams. Stoke are now regular participants in the Premier League for years, and that means that anybody who goes there is in trouble. "We have to show character again. We know we have to play to win the games, so let's keep the focus on the way we want to play and on our team spirit. Hughes' team selection for the tie with the Gunners has a minimal chance of being altered due to injury, with Ibrahim Afellay (knee) and Stephen Ireland (broken leg) the two long-term absentees on the treatment table. Laurent Koscielny has "a small chance" of selection, according to Wenger, after taking a knock to his calf in the 2-0 win over Manchester United last weekend, though Alex Oxlade-Chamberlain should return following a tight calf that Wenger blamed on fatigue. Stoke have only lost one of their eight home Premier League games against Arsenal (W4 D3). 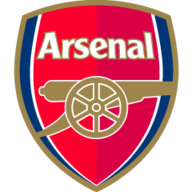 The Gunners' 12.5 per cent win percentage (one win in eight) away at Stoke is their joint-second worst in the Premier League era (level with Sheffield Wednesday, one win in eight); they only have a worse win record at Manchester United (3 wins in 25, 12 per cent). Arsenal have failed to score in three of their last four Premier League visits to the bet365 Stadium, with two of those games ending goalless. Mark Hughes is unbeaten in his last eight home Premier League meetings with Arsene Wenger (W5 D3), with that run spread across five different clubs - Blackburn (one game), Man City (two), Fulham (one), QPR (one) and Stoke (three). Peter Crouch has eight Premier League goals against Arsenal, his joint favourite opponent in the division (also Blackburn - 8). The Potters have drawn one and lost four of their five home games against the Premier League's top six this season - they won three of their six against the same sides in 2015-16 (D1 L2). Stoke have won their last Premier League home game of the season in each of the last three campaigns, scoring 12 goals and conceding three. Arsene Wenger has been on the losing side eight times in 26 games as Arsenal manager against Mark Hughes (all competitions) - the only manager he's lost against more with the Gunners is Sir Alex Ferguson (22). Since their arrival in the Premier League in 2008, only Manchester City (14) have had more red cards in home league games than Stoke (13). Arsenal haven't lost any of their last nine away league games in May (W6 D3) - the last side to beat them was Stoke in 2011. It's a nice game for Arsenal, they need a win and I expect them to do just that. If they can then you'd fancy them to nick a top-four spot, especially as they'd put the pressure on Liverpool before Sunday's game. Stoke are another side to have switched off and it's hard to see them getting a result here. Arsenal have still got the FA Cup as well but top four should still be their priority. 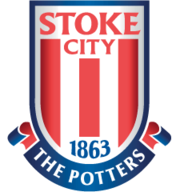 Stoke are the 7/2 outsiders to beat Arsenal, who are seen as the 7/10 favourites with Sky Bet while the draw is priced at 3/1. Alexis Sanchez is the 7/2 favourite to score the first goal while Jon Walter, Peter Crouch and Saido Berahino are seen as most likely threats for the hosts at 8/1 apiece. Stoke are rated outsiders at 12/1 to bag a place in the top half of the table, while Arsenal are priced at 5/2 to finish in the top four.